At Focus School Software, we know that successfully implementing new software depends upon a strong customer support and maintenance team. 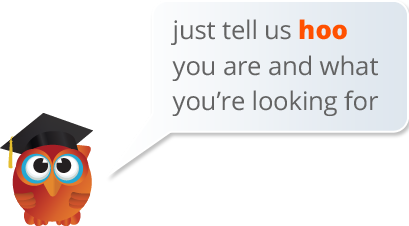 All of our support is centralized and offered directly through our firm. Focus’ software maintenance package includes all bugfixes, enhancements and upgrades. Our maintenance program also entitles any district or school employee to take part in our free weekly webinars, Focus University documentation, and training courses. The maintenance package also includes all updates related to state reporting. 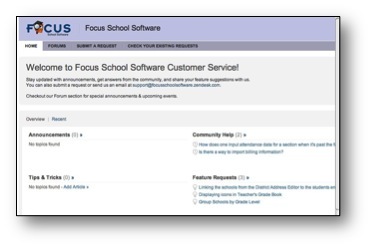 Focus School Software’s help desk is available 7:00 am to 6:00 pm EST and uses a state-of-the-art customer support software, ZenDesk. The District project/support team can call our toll-free number or enter a trouble ticket in Zendesk, where trouble tickets will be responded to within 24 hours of being received. Focus also offers Focus University, our knowledgebase and support website, where discussion forums, videos, and all product documentation are available.